The Grant Congdon Meeting Room has a maximum capacity of 40 people and is available for public use. The room has Wireless Internet, Video Conference Equipment, whiteboard, tables & chairs, DVD player, TV, and sink. There is also a laptop, projector, and screen available upon request. 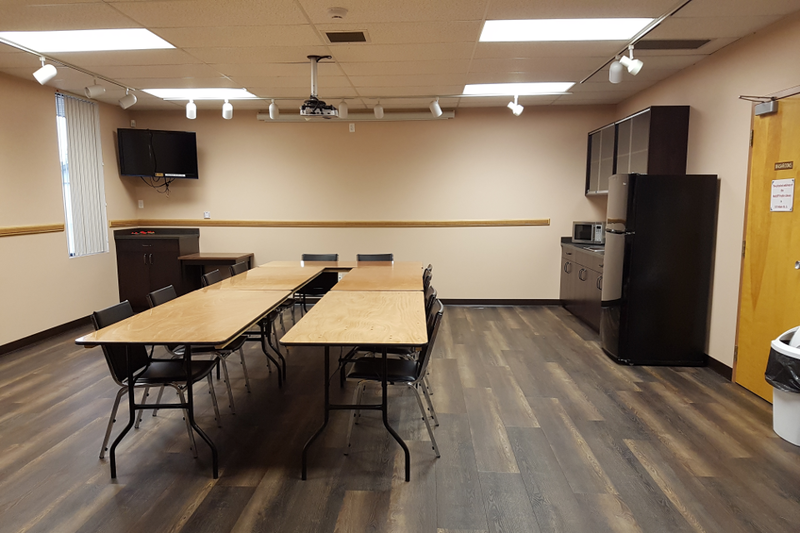 To book the Meeting Room please call 403-548-3335 or email the library. The fee is not associated with a time limit.